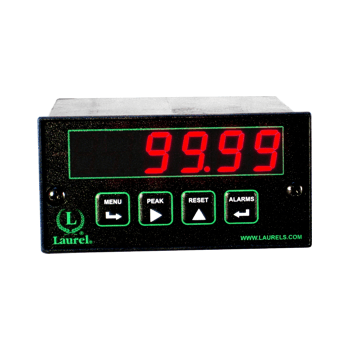 Laurel Electronics, Inc. designs, manufactures and sells programmable digital panel meters, counters, timers, remote displays, transmitters and other instrumentation for demanding industrial applications. Showing recent results 1 - 15 of 32 products found. 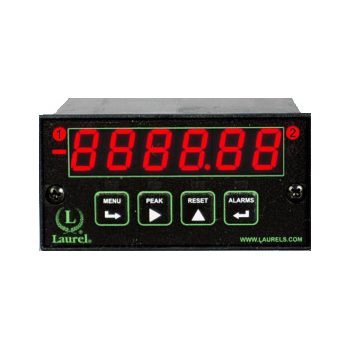 Same capabilities as the Laureate pulse-input batch controller, but for 0-1 mA, 4-20 mA, or 0-10 V process signals, as made possible by a built-in voltage-to-frequency (V-to-F) converter. Square root extraction is standard for use with flow meters. Designed to time single events or processes which produce start and stop pulses. Resolution to 0.2 s, duration from 1 s to 999,999 hours. Time may be displayed in HH.MM.SS clock format with 1 s resolution or in decimal H, M or S format with six-digit resolution. Multiple events can also be accumulated. 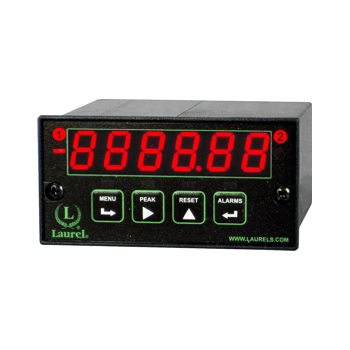 Laureate TM Series serial output transmitters can be jumpered for two signal levels: RS232 or RS485. 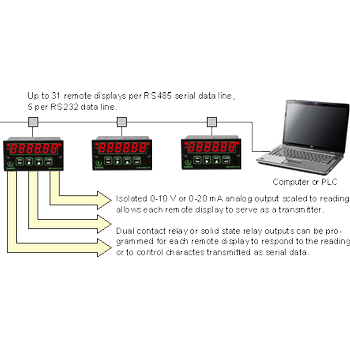 Two serial protocols are selectable in software: Modbus or Laurel's Custom ASCII.Modbus protocol operation is fully compliant with the Modbus Over Serial Line Specification V1.0 (2002) for 2-wire, half-duplex connection. Generates up to four individually grounded and individually adjustable 4-20 mA loops from a single 4-20 mA or 0-10V input. 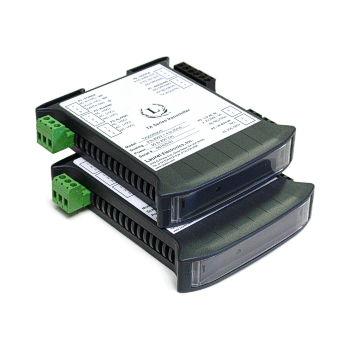 Overcomes problems which occur when the same 4-20 mA signal is applied to multiple loads in series. 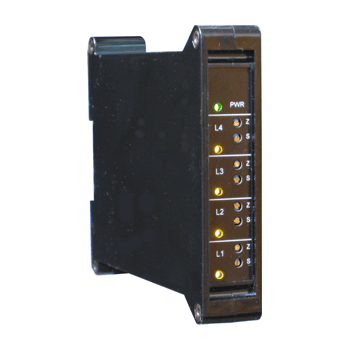 Allows outputs to have different grounds, and allows individual loops to be opened without affecting signal to other loads. 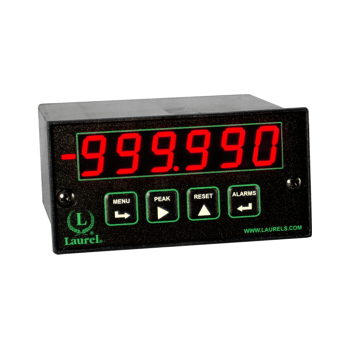 User-scalable for display to 999,999 for 0-1 mA, 4-20 mA, or 0-10 V process signals requiring zero and span adjustment. 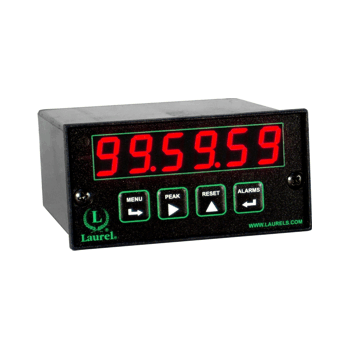 Ideal as flow rate meter or flow totalizer for analog flow meter signals. Includes 5, 10, 24 V transducer excitation output (user-selectable). 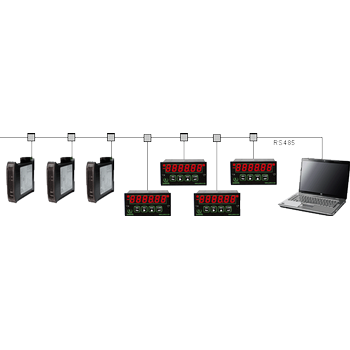 Displays and totalizes 0-1 mA, 4-20 mA, or 0-10 V process signals. 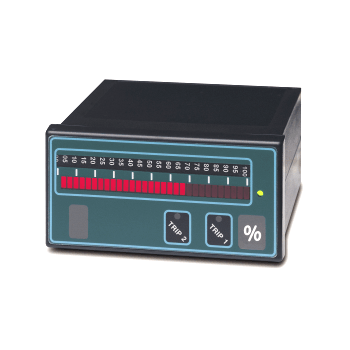 Square root extraction is standard for flow applications, allowing display of volume from the 4-20 mA signal of a flow transducer with a linear or squared output.